I walked past the Meininger Hotel several times when I last visited Berlin. I had rented an apartment in Prenzlauer Berg and every time I went to catch the U-Bahn I couldn’t help seeing the hotel’s bright red sign. I remember thinking it was in an excellent place, a hotel to keep in mind for future trips. Unexpectedly, I recently had the opportunity to spend a night at the Meininger Hotel Berlin Prenzlauer Berg and although it was a very short stay – only one night – it gave me a taste that I’m glad to share. Location: Literally a few steps from Senenfeld the U-Bahn stop, the Meininger Hotel Prenzlauer Berg is perfectly located to explore Berlin and its main attractions. Location is crucial in the choice of a hotel when I visit a big city, since I want to spend most of my time wandering around without loosing too much time in reaching the different areas. Furthermore, Prenzlauer Berg is a residential and lively neighbourhood, with plenty of restaurants and café and an overall cool and easy-going atmosphere. Rooms: my room was not as colourful as the ones showcased on the website but it had all I needed. Simple and essential, extremely clean and functional, with a comfortable bed, there was everything I look for when I visit a city and spend time in my room only for a shower and some good sleep. Amenities: free wi-fi is always great (I don’t understand why in many hotels wi-fi is still not handled as a commodity. In my mind, it’s something comparable to having towels or soap) and I appreciate the availability of a kitchen for guests for those wishing to cook. Additional services: I like it when hotels offer more services like late check-out at a very reasonable extra cost, the possibility to order a packed lunch or a bike hiring service to explore the city. 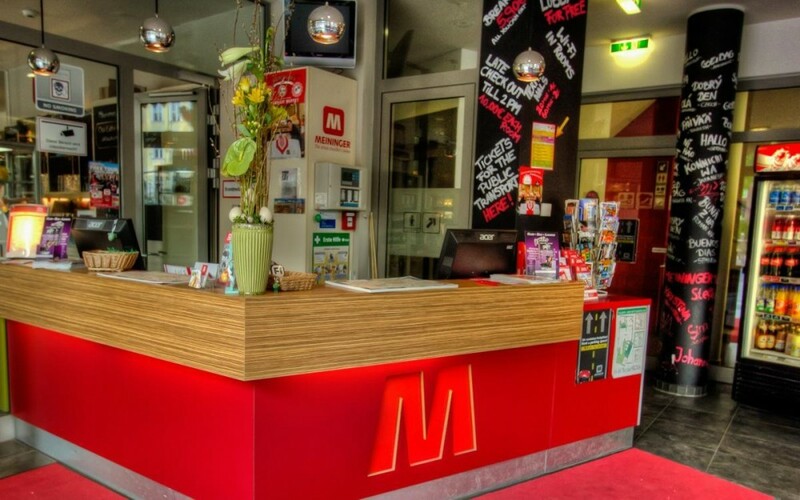 Price: Meininger Hotel Prenzlauer Berg is a good value for money choice, especially for people looking for a good low-budget accommodation in Berlin. The hotel offers several options, including single, double and triple rooms, families and multi-beds rooms and dormitories. Breakfast is not included, and a buffet comes at an extra euro 5,90 euro cost. I preferred one of the many cosy café nearby and it seemed that most guests did the same. However, if you plan to eat big quantities of food, breakfast at Meininger Hotel might be a good option. Hotel style: I wouldn’t say it has a lot of character, but it’s functional and a good budget option for urban travellers interested in getting the most from their time in the city. Website and online booking: well-built and very user-friendly, you can quickly check the best deals on selected dates and the different available accommodation. Price vary a bit depending from the periods and days of the week and as it often happens in the budget travel segment, early booking is more likely to let you score a very good deal. 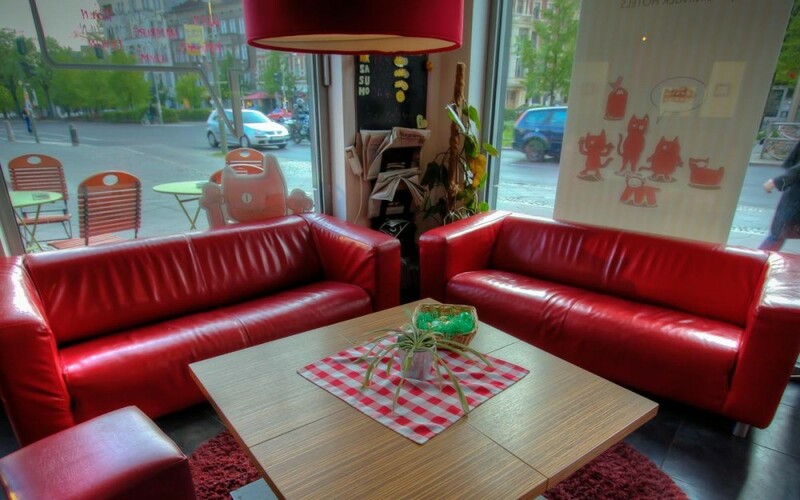 Recommended to: Meininger Hotel Prenzlauer Berg is a good option for singles, couples, friends, families looking for a decent, value for money hotel in a very nice area of Berlin. Note: I was kindly invited to experience the Meininger Hotel Prenzlauer Berg in Berlin. Opinions, as always, are my own.